Jennifer Yoo, as a consultant with a specialized focus on technology and supply chain & logistic transportation, has worked with a diverse range of clients in these sectors where she has exceeded client expectations with her in-depth knowledge of their business drivers and talent needs. 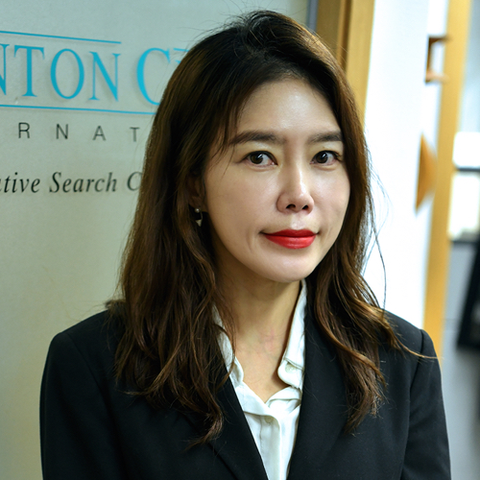 Prior to joining Stanton Chase, Jennifer worked for multinational and KOSDAQ listed IT companies such as Insung Information, Polycom Korea, Openbase where she served in a diverse range of roles of marketing leader, strategy planning leader, and PR specialist for over 20 years. During this time, she developed and implemented various marketing campaigns, which led to effective sales and overall business results. She holds an AMP certificate in business from Chung Ang University and a bachelor’s degree of business administration from Duksung Women’s University.